High-performing sales teams start with reps who are knowledgeable and confident. Ingrain knowledge, change behavior and build the confidence your reps need to bring in more business—in just 3-5 minutes a day. Get new hires up to speed and contributing to your targets, faster. When reps know their stuff, self-assurance grows —and so do sales. See what your reps know—and don’t—and zero-in on how to help. See how training directly impacts sales performance and quota attainment. People are buzzing about microlearning, but we know there’s a lot of confusion around what microlearning is and isn’t. Learn what you need to know to make microlearning a success in your sales organization. The only microlearning platform built to drive sales performance. 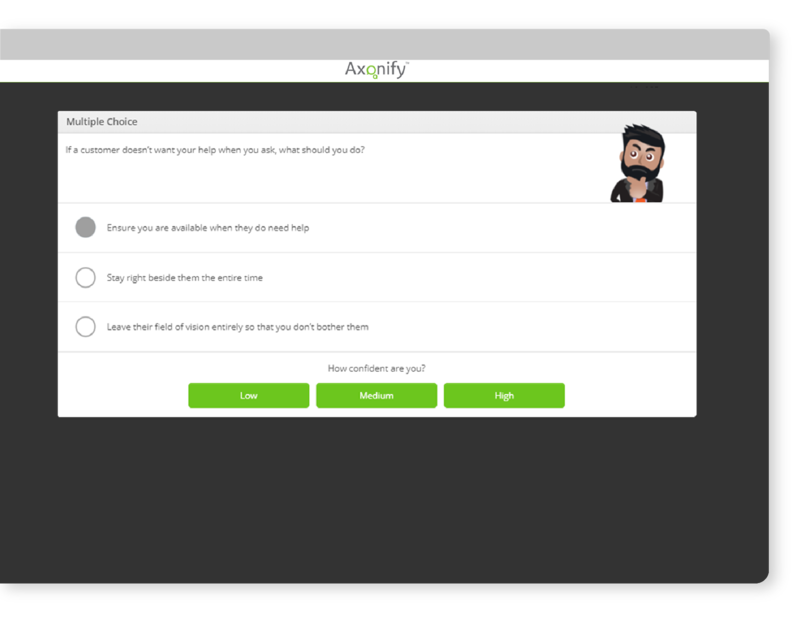 With Axonify, you’ll fuel performance by engaging your reps in learning that’s fast, fun, personalized and woven right into their workday. By adding Axonify to its learning ecosystem, Ethicon has increased the overall knowledge levels of its sales reps, boosted their confidence and improved their sales effectiveness during customer engagements. Discover 3 components for making essential sales team knowledge sticky. 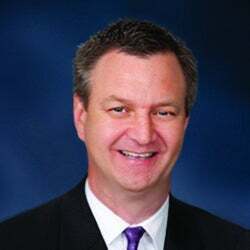 See Andrew Calomino, Manager of Learning and Content at Bell, explains why his team prefers a more modernized way of sales training. Discover the top 3 reasons gamification makes so much sense for sales. learning. Ready to buy into training that hits their sweet spot? We’d love to talk.